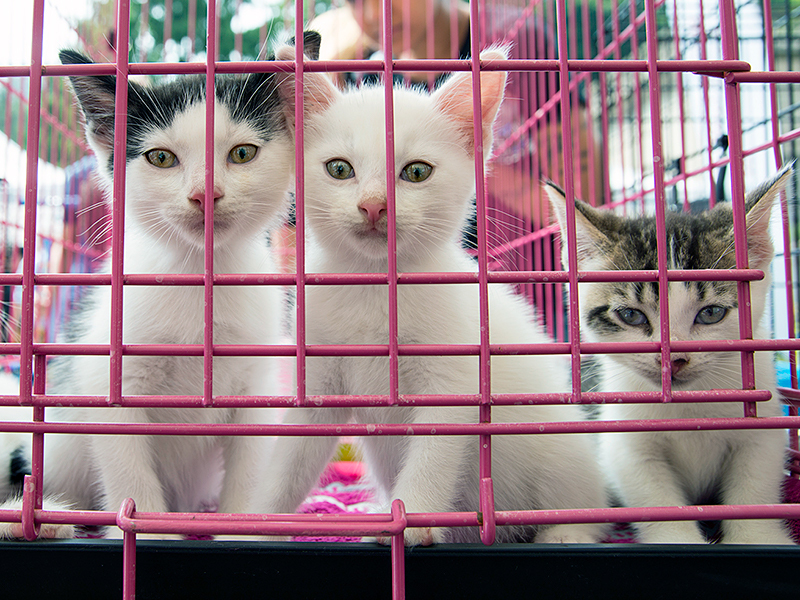 More than 400 homeless dogs, cats, puppies, kittens, and rabbits were seeking forever homes at Adoptapalooza, NYC’s original mega pet adoption event, hosted by the Mayor’s Alliance for NYC’s Animals. Sunday, September 17, 2017 – New York, NY – Animals relocated to NYC from Florida and Texas in the aftermath of Hurricanes Irma and Harvey were among the more than 400 homeless dogs, cats, puppies, kittens, and rabbits — all available for adoption — waiting to meet their forever families this afternoon at Adoptapalooza, NYC’s original mega pet adoption event, held in the North Plaza of Union Square Park in Manhattan. Hosted by the Mayor’s Alliance for NYC’s Animals (the Alliance), and presented in partnership with the Petco Foundation, this event offered fun for the whole family! 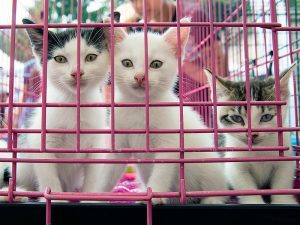 Adoption fees varied by rescue organization. Pinky, a 2-year-old female Terrier Mix whose ears are the biggest thing on her! Dingus, a 1½-year-old male Bull Terrier Mix who is happy, silly, and an all-around wonderful boy. In addition to pet adoptions, Adoptapalooza featured: great music; face painting and fun temporary tattoos for kids by The Cheeky Chipmunk; caricature portraits by Lorelei Arts; tricks and training tips from a certified Petco trainer on the Merrick Dog Training Field; dog licensing by the NYC Department of Health; microchipping for dogs and cats by Vetco; emergency preparedness information from New York City Emergency Management/Ready New York and the American Red Cross Greater New York Region; free pet photos by the Alliance and free personalized pet ID tags courtesy of the Alliance; and giveaways from event sponsors. Rock & Rawhide, a non-profit organization that distributes donated supplies to shelters and rescue groups, collected clean blankets, towels, and pet toys to distribute to NYC-area shelters and also Gulf region shelters affected by Hurricane Harvey and Hurricane Irma. Kim Esp, LAK Public Relations, Inc.